ECE I, Hardcover, 455 pages, Edition 2013. The first volume of ECE l Pawn Endings was published in 1982, and its 10,000 copies (!) sold out relatively quickly. Another four volumes swiftly followed, containing more than 9,000 endgame examples in total! This five-volume compendium was the most comprehensive theoretical work on the endgame and remains a reference source for every new book on the endgame even today. 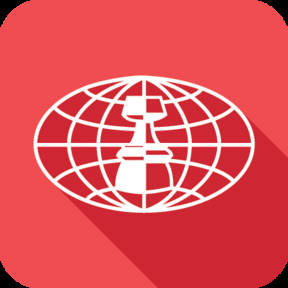 The names of the contributors testify to the quality of this edition: World champions Botvinnik, Karpov, and Kasparov; along with endgame experts, Averbakh, Matanovic, Huebner, Hort, Miles, Minev, Parma, Uhlmann, and Unzicker. The long awaited, considerably revised, 455-page second edition offers 1,901 pawn endgame examples, with about 300 examples from modern practice. In comparison to the first edition, examples that contained errors or omissions were corrected, and some discarded because they did not stand the test of time. All the examples are annotated and classified according to the Chess Informant system. Because of its simplicity and systematic approach, the book is useful for active players and for those who want to become familiar with endgame basics. It is especially interesting for coaches in providing practical exercises for training.